Posted 9:46 am by Lauren. Nice shake! 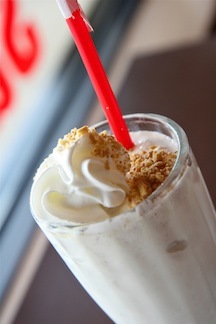 The Nutter Butter is a dreamy, creamy blended dessert.